Many quarters ago, I started mining Monero using Docker containers. The reason for using Docker was simple. If you are running Monero on servers you may not want to have the dependencies installed on the base OS and you likely want some isolation. Virtual Machines are not suitable for efficient mining which is why so many Dockerized Windows mining attempts end in poor results. 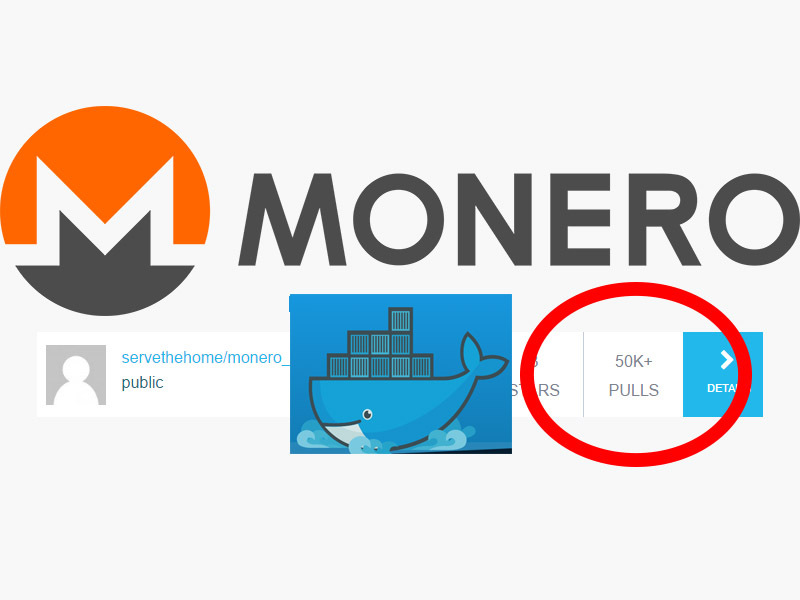 For some background, you can read our Monero Mining on Linux made easy with Docker piece. Today we have the updated version of that guide. Bitcoin is still the largest cryptocurrency by far. Monero is a cryptocurrency that put an emphasis on privacy and is considered significantly more anonymous than Bitcoin. As a result, Monero has fairly consistently been a top 10 cryptocurrency in 2017. Just to give some perspective, for a decent part of the year, we have been able to offset 20-30% of our data center costs mining Monero. Some of the new, more efficient architectures are even better. 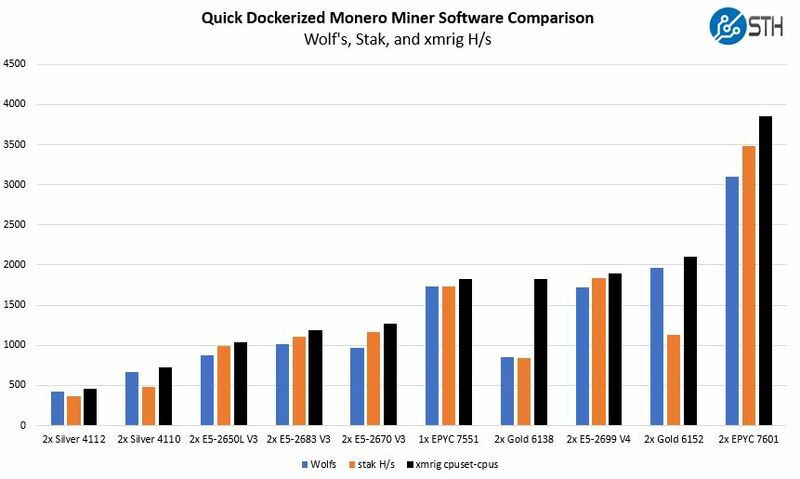 Dual AMD EPYC 7601 CPUs Can Offset Operational Costs Using Monero Mining. If you read STH, and have a Linux OS installed on machines with low utilization periods, you have all you need to start mining Monero. Using Docker to learn Monero mining is actually a great way to start learning Docker. Monero mining difficulty has been increasing much faster than the appreciation of the currency. We are approaching a time when mining Monero is not going to be profitable if you have to purchase hardware, however, if you have inexpensive power and cooling, it can still make sense to spin up on existing hardware. A few notes here. First, we are using this in a method that is easy to deploy on 10,000 servers. If you are hand editing configuration files and OS settings to do core affinity tuning beyond the auto-generated stak-xmr config file, stak is a good option. Second, we are using the standard Wolfs configuration we used to benchmark almost 100 server Monero Mining CPU configurations this year. While we knew there were better miners, we also wanted to keep a consistent data set. On AMD EPYC, the difference was so large, especially on dual socket configurations, that you essentially must do this tuning. In terms of impact, we are now at just below 4KH/s from a dual AMD EPYC 7601 system and just below 6KH/s on a quad Intel Xeon Platinum 8180 system. The other major impact with launching one container per NUMA node is that one can run mining on one CPU while the other is left untouched for standard workloads. 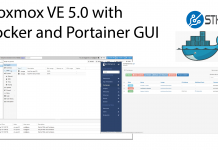 Designed to be constrained to NUMA nodes and have scripted launches for those managing Docker clusters with Ansible, Jenkins, Kubernetes, Docker Compose or other tools. Previous generations we tied to an architecture and a pool. That meant there was one pool image and then different tags for Ryzen, EPYC, Atom CPUs, NVIDIA GPUs, and etc. With this generation, we are starting with a generic CPU miner. Our default is using Dwarfpool USA since we have had good experience mining several hundred XMR there. All four variables other than $username have default values. Username does not since that is your wallet address that you need to earn proceeds from mining. On the defaults, the xmrpool address will default to xmr-usa.dwarfpool.com. The startport will default to 8100 as most servers will have fewer rejected shares starting at a higher difficulty. The username has no default since you need to put your Monero wallet address there. The password will default to x. Numthreads will use nproc as a default just to get the miner running, but you should change this. Donate does not have a default value so it starts at 0%, but it is a good idea to support the development of miners. The idea here is that you can skip having to build xmrig, and instead just pass environment variables in. That means you can easily look up syntax of various pools and map directly to the Docker image. That does two things for us. First, it constrains us to physical CPU cores (56-63 are the SMT / hyper-threading cores.) Second, it constrains our miner to a NUMA node. 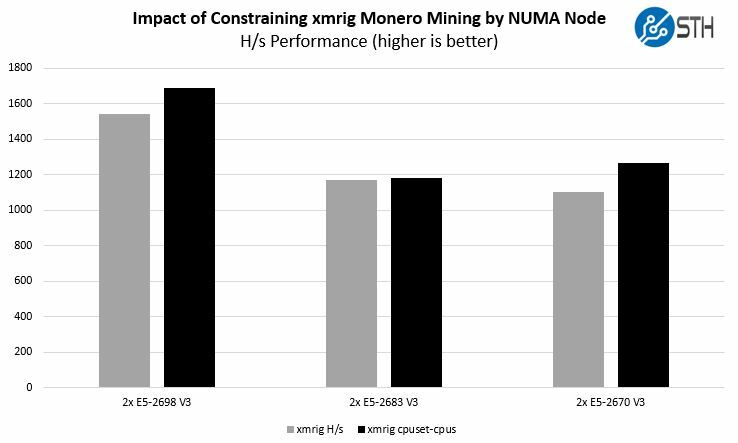 On AMD EPYC, constraining miners to a single NUMA node has an enormous impact, especially on dual socket systems to where we can see 20%+ performance improvement. Let us say we wanted to donate 3% to the xmrig developers. We also want to change pools to a small pool like xmrpool.net that offers solo mining and an EU server. You can look up their address, ports and syntax on their getting started page. All pools are a bit different so instead of an e-mail address in the password field, we use a worker name. A quick tip here: $(hostname)-<numa node> is very effective if you ever need to troubleshoot an offline miner later. 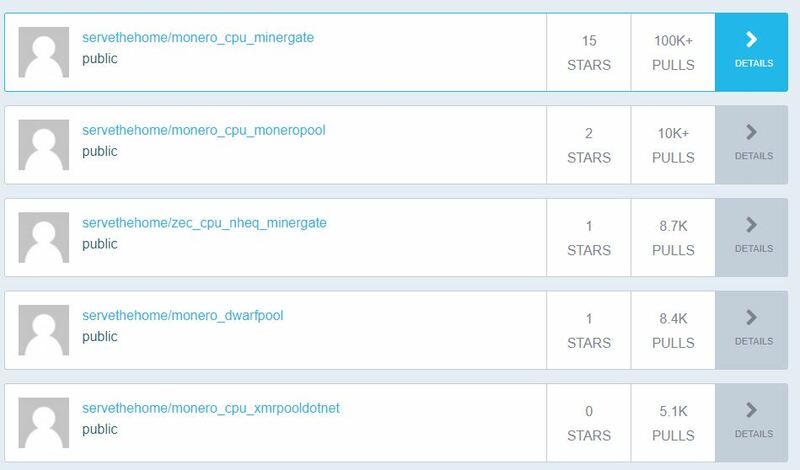 We have a full getting started guide from creating your wallet to using this image in the forums here: How to start mining Monero in Docker. That also has sample scripts to show how to startup across multiple NUMA nodes easily which is important if you are managing larget clusters. STH also has a community of folks mining on many thousands of nodes in our Cryptocurrency Mining and Markets forum. Finally, you can discuss this container and see developments here. We did receive 0.14 XMR of donations from our last efforts which got hundreds of thousands of nodes online so are not expecting much.